Jordan Brand released two more colorways of their now-popular training shoe that should be on top of your list of must-buys this month and in the weeks to come. The Jordan Dominate Pro is now available in Black Spruce/White – Green Glow and Black/Gym Red – Cement Grey colorways. 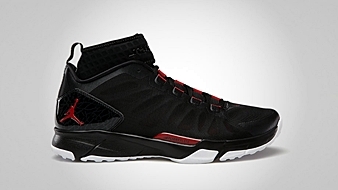 This training kick boasts the Jordan Flight Plate technology for maximum support and super responsiveness along with Lightweight Hyperfuse for high breathability and durability. Make sure to check these kicks now and get your hands on it!